Newcastle United currently has a kit sponsorship deal with Puma, and as such is in a position of influence. Join us in writing to Newcastle United to pressure Puma to end its complicity in Israeli war crimes - or else end its partnership with them! Puma is the main sponsor of the Israel Football Association (IFA), which includes football clubs based in illegal Israeli settlements on stolen Palestinian land. All Israeli settlements are considered war crimes under international law. As one of the world’s top athletic apparel makers, Puma’s sponsorship brings international legitimacy to the IFA and helps maintain its direct involvement with violations of human rights and international law off the field. 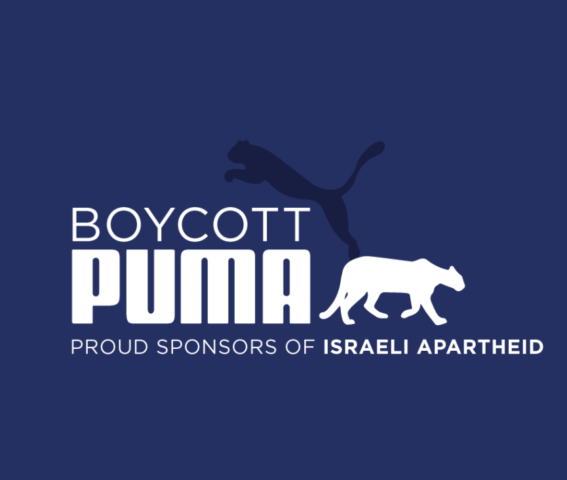 More than 200 Palestinian teams have called on Puma to end its support for Israel’s military occupation by terminating its sponsorship deal with the IFA. 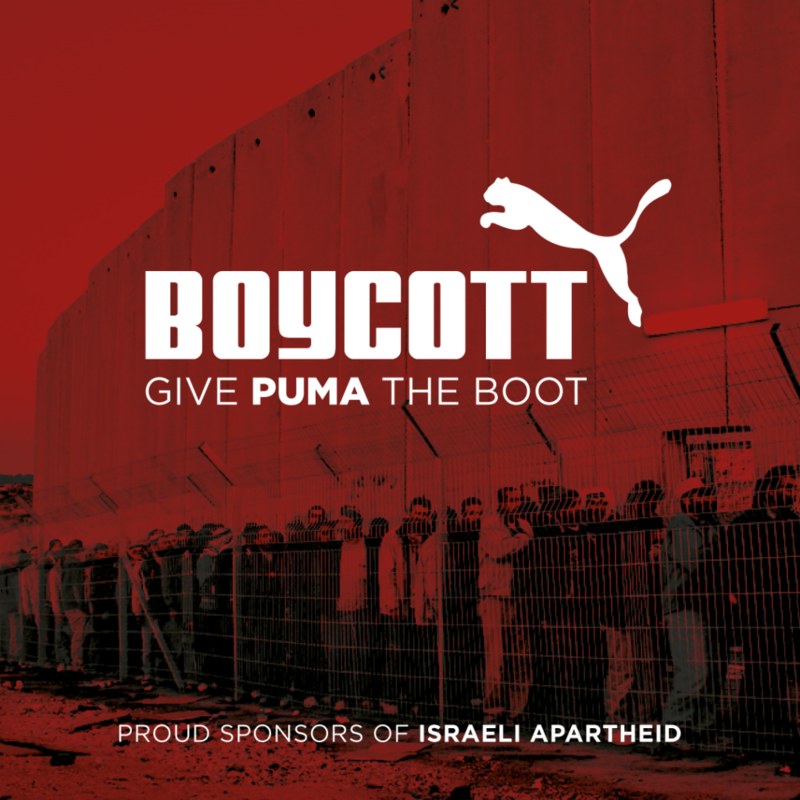 BOYCOTT Puma until they end their sponsorship of Israeli Apartheid. Israeli settlements are illegal land grabs that form an integral part of Israel’s occupation infrastructure - pushing indigenous Palestinian families off their land, robbing natural resources, and denying Palestinians their right of movement. Israel uses sport and the IFA to sportwash its crimes against the Palestinians - Dont let Puma help them!